Grinding weed without grinder can be a daunting task. Some people have resorted to using their finger to get it done but this as well is not an easy thing to do, the weed may be wet and sticky and you’ll find most of it clinging to your fingers and that can be frustrating. You also tend to lose the crystal during the process. 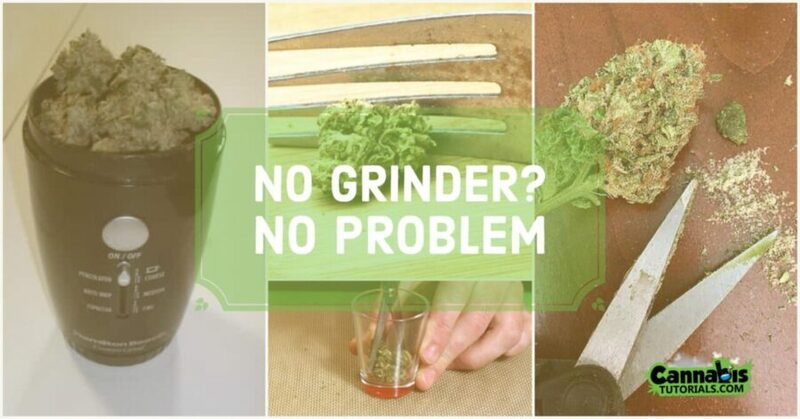 This article will take you through some amazing hacks with which you can grind weed without a grinder. The first method we’ll mention is using scissors in a shot glass. This method is pretty simple and fast. Just toss some bud of weed into a shot glass and start cutting. To make this method effective, try to cut as fast as possible. This method is however not recommended if you need to use the shot glass as soon as you are done because there will be residue that might change the taste of anything poured inside the shot glass after cutting. This method is also effective. However, it takes a longer time to grind your weed. All you need to do is to throw some bud inside your medicine bottle and throw a coin inside then shake vigorously until the job is done.